Prime Minister Binyamin Netanyahu said Sunday that his government had sent a “clear message” to the Hamas terror organization, following a string of attacks in Samaria. 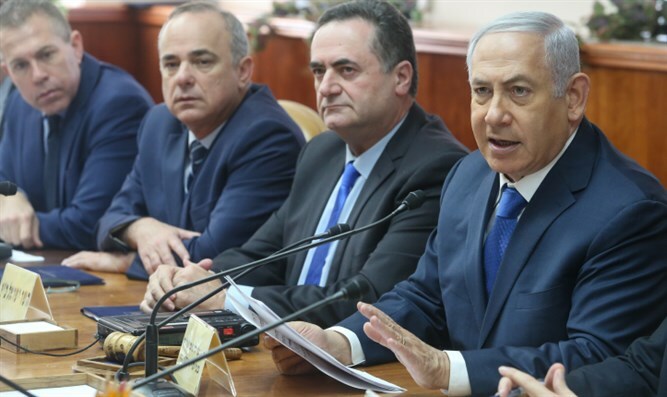 Speaking at a weekly cabinet meeting, Netanyahu claimed that the government had taken “vigorous” action both to uproot Hamas terror cells in Samaria, and to promote Jewish settlement in Judea and Samaria in response to the attacks. “Following the wave of murderous terrorist attacks in Judea and Samaria last week we have taken vigorous security and settlement actions,” said Netanyahu. The Prime Minister added that he had ordered Israeli security forces to accelerate the process of demolishing the homes of the terrorists involved in the attacks. Netanyahu also said that in the wake of the attacks, his government would normalize the status of thousands of homes in Israeli towns across Judea and Samaria.